Daytime restaurant supervisor job is available in a trendy restaurant in Dublin. We are seeking a daytime supervisor with previous experience in a busy retail restaurant. This is a hands on daytime role!! If you would like to apply for this daytime restaurant supervisor Dublin please attach a CV and we will contact you accordingly. 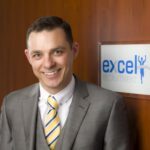 Please visit Excel Recruitment for similar live jobs.